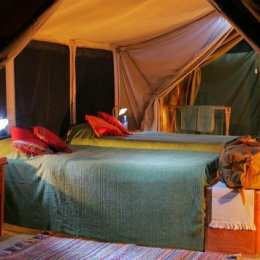 JK Mara Camp is situated within the 1,800 acres of the Muliban Conservancy in the Talek area. 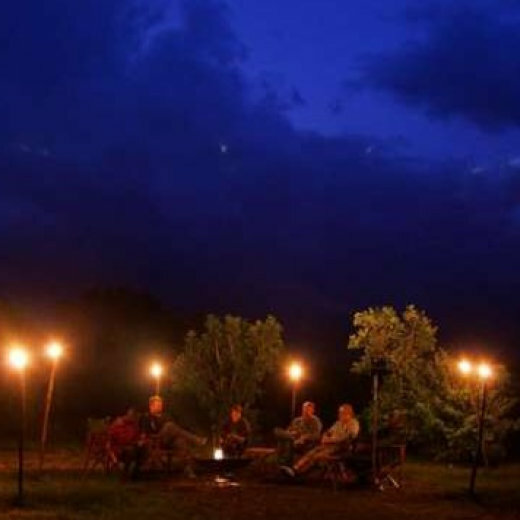 The camp is set among picturesque hills and rolling plains in prime game viewing country where you can step out of your tent and head straight out on a walking safari or night game drive within the conservancy or drive for 10 minutes to get to the Masai Mara Game Reserve. 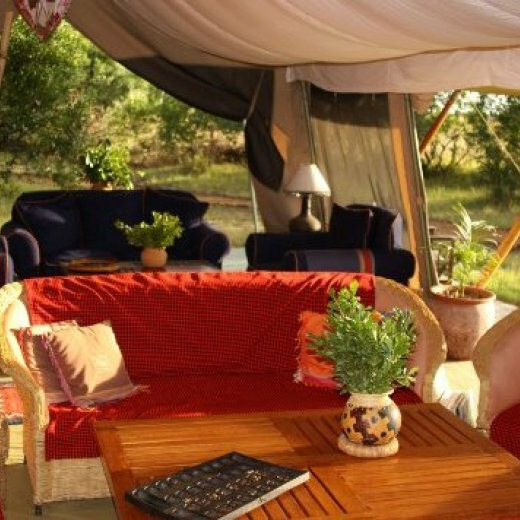 A tented camp is the original safari, perfectly suited to smaller groups looking for an authentic ‘Out of Africa’ experience off the beaten track. The camp's beautiful secluded site is suited to give you maximum privacy and exclusivity with comfort and style, where you least expect it. You can relax on your private verandah, enjoying nature and letting the world go by. The camp has a dining area, bar and lounge tent. Full board facilities of international standards are provided with a touch of the African cuisines. All fresh greens are harvested from the camp's kitchen garden.